Marshall Street, about a block from campus, has all of the restaurants, clothing stores and amenities that SU students need. It comes as no surprised that a top party school also takes first place for late night orders on GrubHub. Students don’t have to travel abroad to experience amazing food when a bite from Crepe & Gelato instantly transports you to France or Italy. 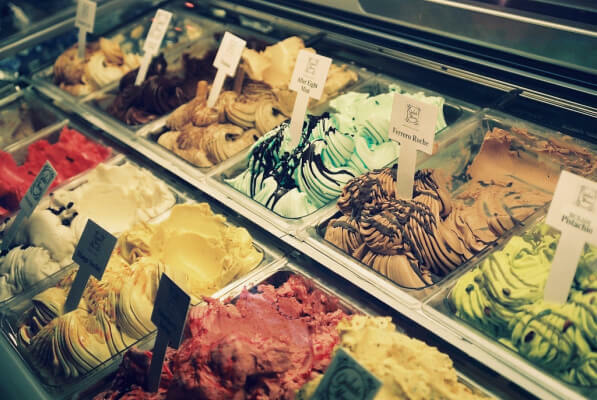 Between stracciatella gelato, Nutella crepes and authentic espresso, Crepe & Gelato will undoubtedly contribute to the freshman 15. On the bright side, healthier options like sandwiches and artisan crepes are a welcomed change when you’ve overdone it with Chipotle. The first time you go to Funk ‘n Waffles you may think the person leading you there wants to kill you. You’ll find yourself in a dimly lit alley behind Marshall Street, walking down a staircase that drops beneath street level into the basement of a corner shop. Once you’re down there, Funk ‘n Waffles is a bright and colorful café that serves the best breakfast food on Marshall Street. Electronic music bands perform most nights for the “funk” to your waffle. 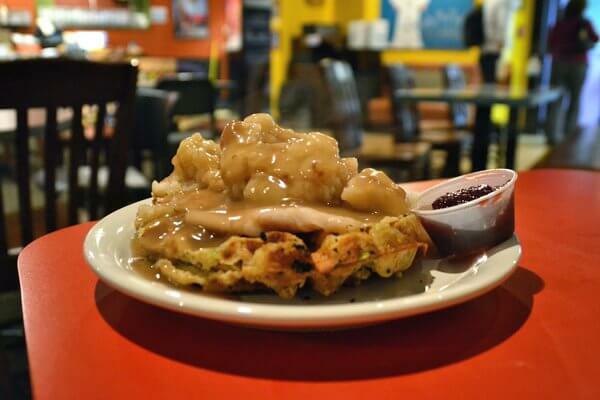 Try the Jive Turkey—a waffle stuffed with smoked turkey, garlic mashed potatoes, cranberry sauce and gravy. You’ll never miss Mom’s Thanksgiving dinner again. The food is organic, delicious and the best cure for a hangover. Faculty, conveniently located on campus, began as an upscale dining establishment for staff and alumni at SU but has since turned into a restaurant where students can use their meal card. The food at Faculty is way better than the dining hall, so most do. 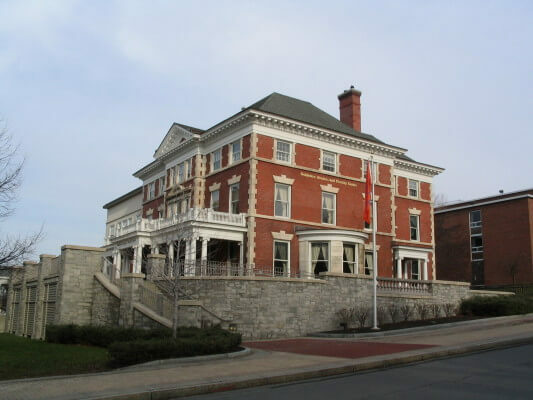 The faculty still gets its privacy on the first floor, while the students get to enjoy the upscale (by dining hall standards) menu and SUpercard swipes. Student favorites include the lobster mac n’ cheese and the chipotle burger.